WATERLOO, IOWA — If you’re a fan of America’s favorite pastime, this won’t be the last time you see these talented faces! 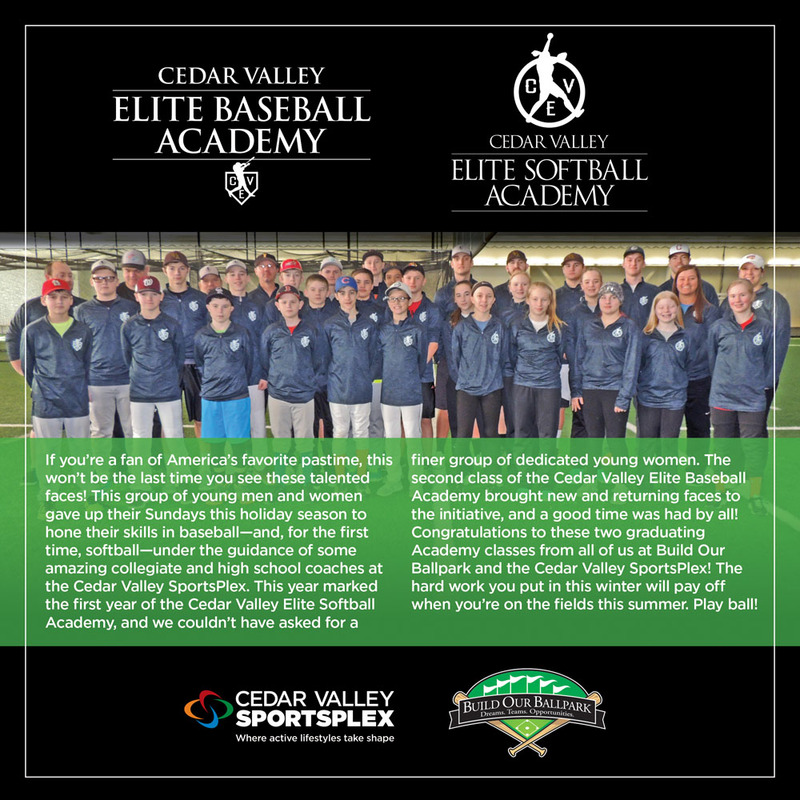 This group of young men and women gave up their Sundays this holiday season to hone their skills in baseball—and, for the first time, softball—under the guidance of some amazing collegiate and high school coaches at the Cedar Valley SportsPlex. This year marked the first year of the Cedar Valley Elite Softball Academy, and we couldn’t have asked for a finer group of dedicated young women. 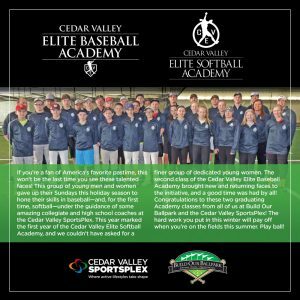 The second class of the Cedar Valley Elite Baseball Academy brought new and returning faces to the initiative, and a good time was had by all! Congratulations to these two graduating Academy classes from all of us at Build Our Ballpark and the Cedar Valley SportsPlex! The hard work you put in this winter will pay off when you’re on the fields this summer. Play ball!